For over 50 years Barbie has been the playmate of all the girls. After having spent their childhood playing with its thousands of clothes and accessories, you can finally give to your daughter the excitement of sleeping in a room completely dedicated to their heroine.The Grand Hotel Savoy in Cortina d’Ampezzo has, in fact, a suite dedicated to the most famous blonde doll of all time. The idea, developed in collaboration with the manufacturer Mattel, followed the example of Plaza Athénée in Paris, the Hotel Husa Princesa in Barcelona and the Palm Resorts in Las Vegas. Every child will feel like a real princess sleeping in the bedroom of their beloved doll that faithfully reproduces the style of the fashion doll. 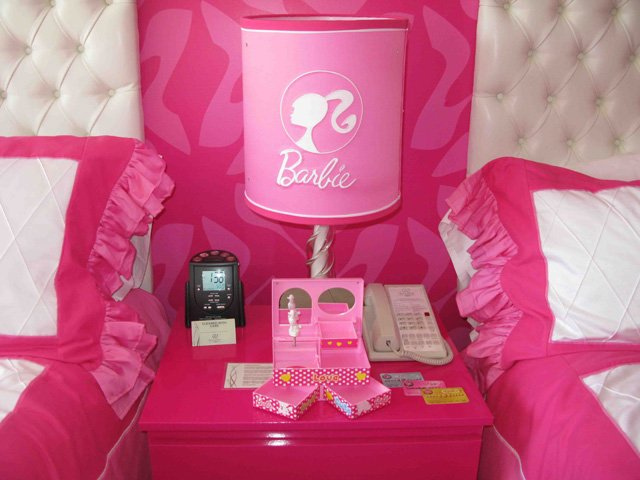 Throughout her life, Barbie has tried several trades and, after being a veterinarian, a skater, and even an astronaut, she finally decided to assume the role of interior decoration of suites with furniture and accessories inspired by the toy house and, of course, completely pink. The Savoy Hotel is one of the most exclusive luxury hotels in Italy. Built in the early twentieth century, it has been the traditional choice of celebrities during holidays in Cortina D’Ampezzo. 5 stars to this hotel offer its guests 117 deluxe rooms, 13 suites, a stylish restaurant and a fantastic spa.